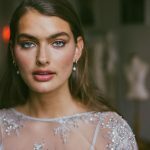 Clean and fresh, this natural beauty look is for you if you want to look and feel like an elevated version of yourself on your special day. 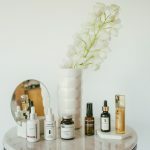 It’s important you are using the right skin care to ensure you have smooth, supple, hydrated, polished super skin. 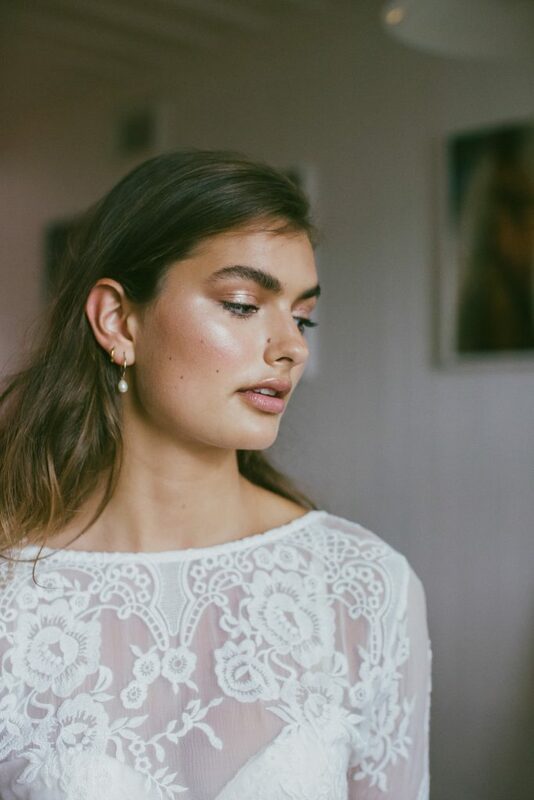 The more prep and investment you put into your skin before you big day will enhance your overall ‘glow’. 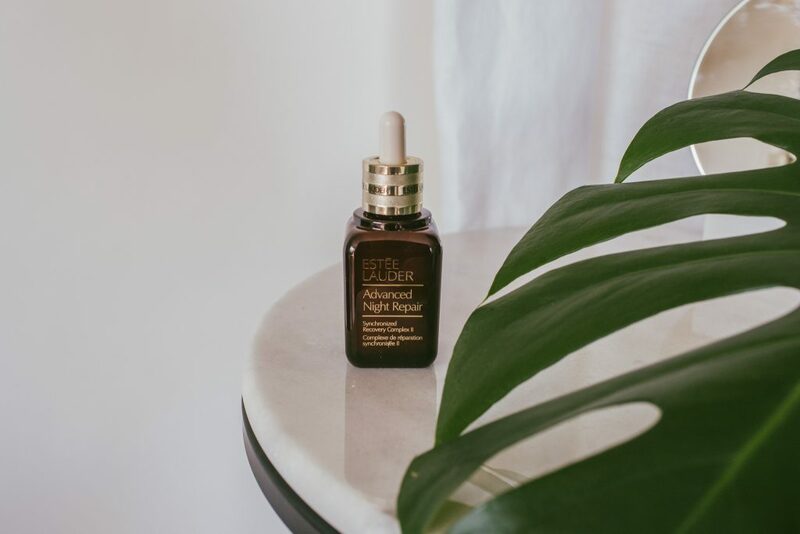 A specialist treatment to include in your skincare routine is the iconic Estee Lauder Advanced Night Repair Serum. This serum instantly hydrates and adds luminosity to the skin as well as reducing the look of all key signs of ageing. 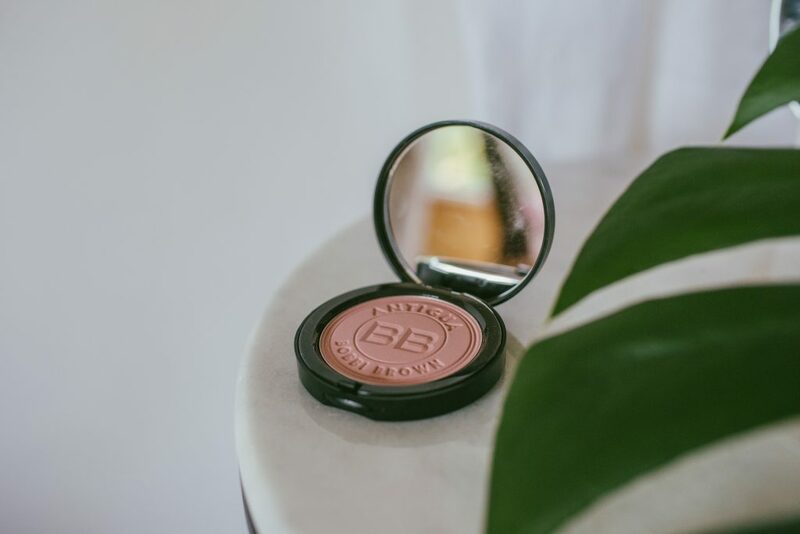 Start your glow by applying M.A.C Strobe Cream in ‘Pink Lite’ on the cheeks, blend using a beauty blender. 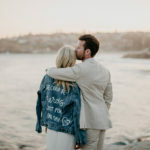 Strobe cream is one of my favourite products to create a light from within glow. 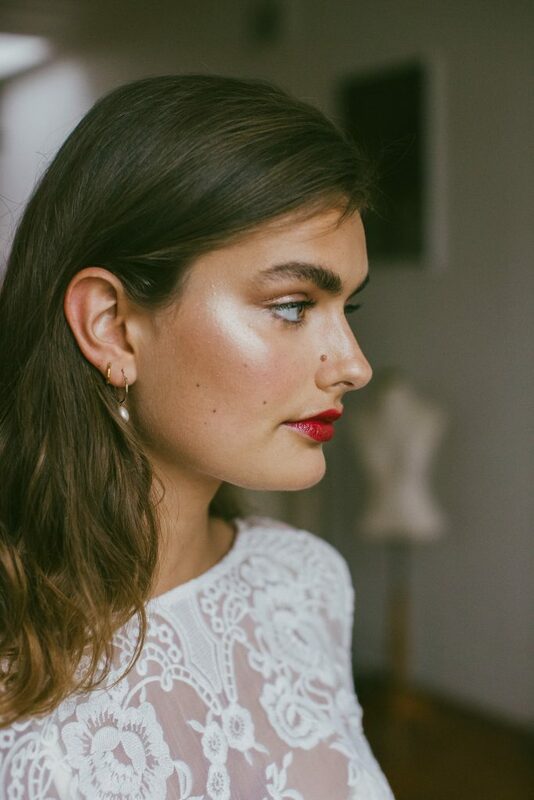 There is a myriad of ways to use this,our artist Olivia Wild loves to mix it with moisturiser before she applies foundation using a flat foundation brush and then pressing in with her fingers. 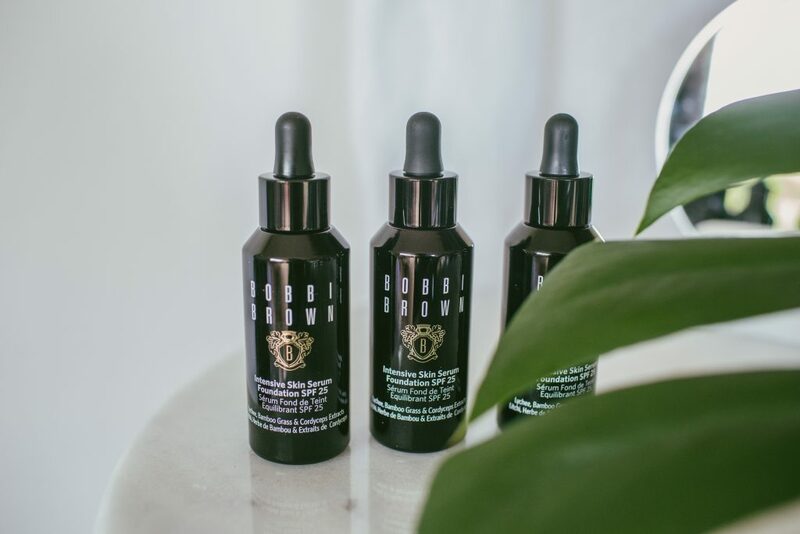 Bobbi Brown Intensive Skin Serum Foundation is a cold pressed hybrid foundation which combines an active serum consisting of an ancient Chinese medicine ingredient called cordyceps mushroom. This powerful ingredient is excellent for its anti-aging properties and providing energy to the skin. 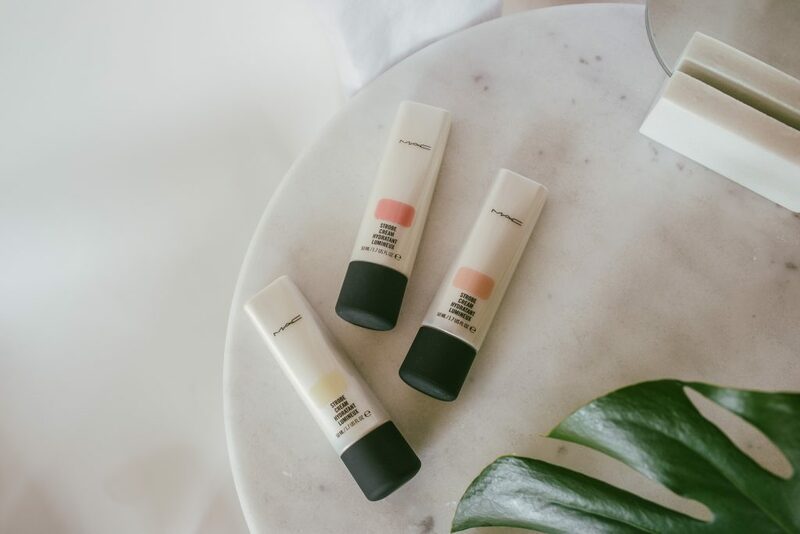 This formulation also contains Lychee & Bamboo Grass which is responsible for the luminous glow this foundation is famous for. Artist tip – You only need to use a pea size amount because a little goes a long way! 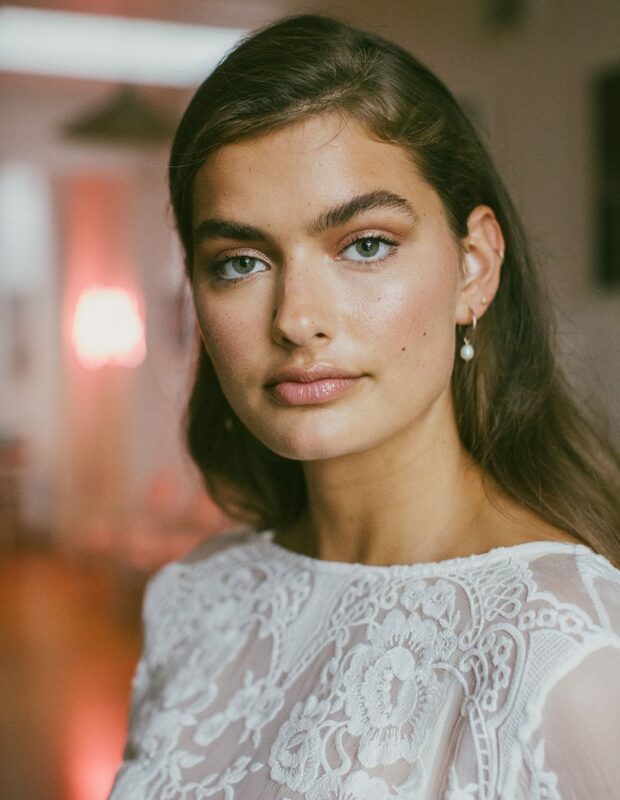 Apply dots around the center of your face and blend using your fingers (just as you would apply a serum) or blend using a flat foundation brush. Skin looks even, glowy and radiant. 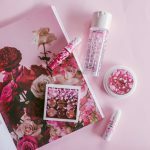 M.A.C Cosmetics latest limited-edition ‘Boom, Boom, Bloom’ collection is inspired by the Springtime blossom of the Japanese Sakura tree. 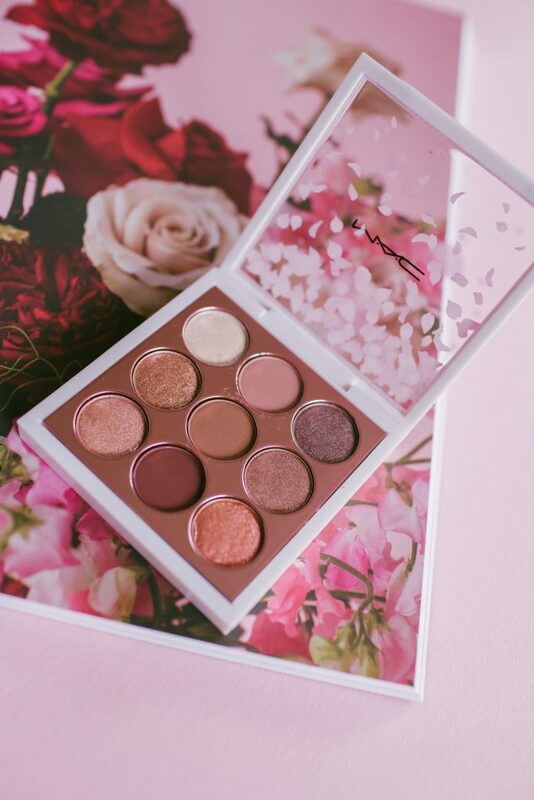 The collection is a blend of new shades and palettes, as well as iconic products that have been repackaged and redesigned complete with an uplifting cherry blossom scent. 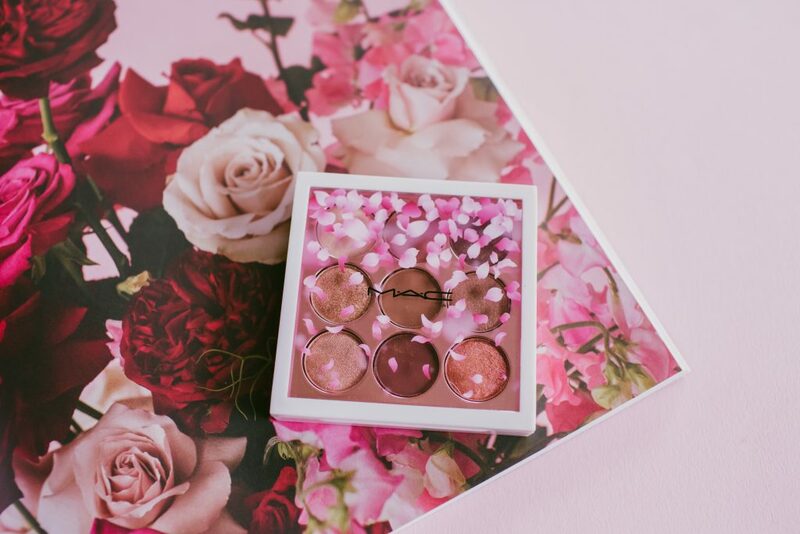 The ‘Kabuki Doll’ eye palette is perfectly edited starring nine beautiful warm neutral hues. It features different finishes from pearl to frost to matte. 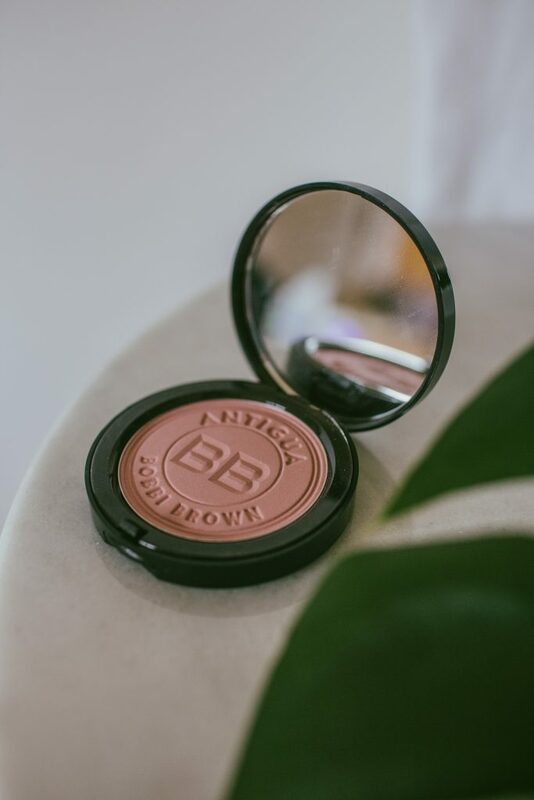 Compact and sleek, makes it the perfect pallet to take travelling For this beauty look I applied ‘Don’t be Koi’ a delicate rosey gold shade on the eyelids using a fluffy brush. 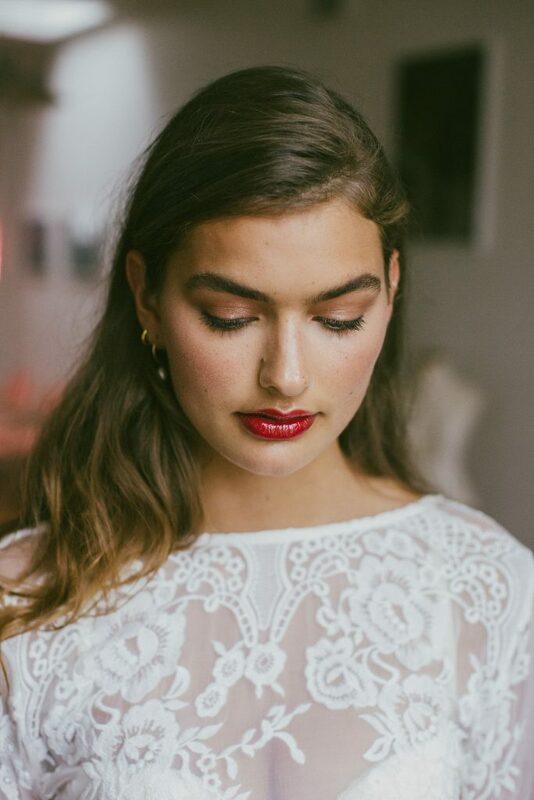 To give the skin a sheer glow Olivia used M.A.C High-Light Powder in the shade ‘Fleur Real’. 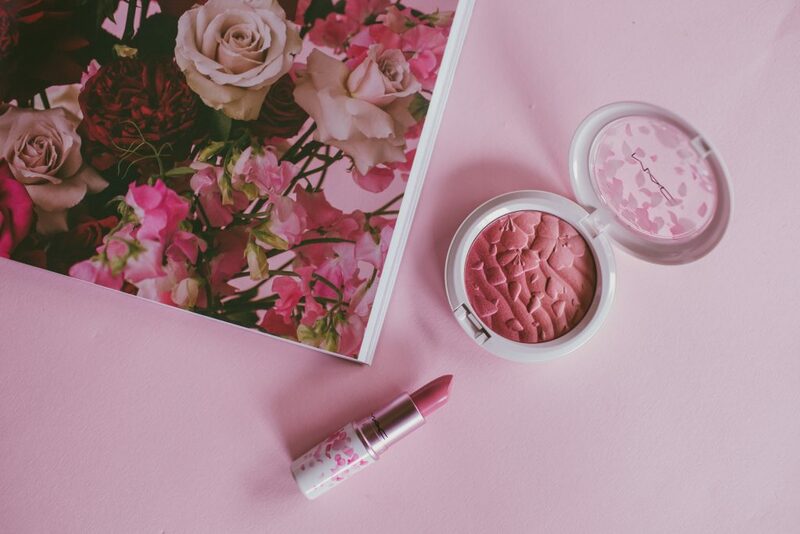 The lip shades in this collection are the perfect hues of pink. A great option for a bride to be is ‘Wagasa Twirl’ a blue pink shade with a creamy matte finish. 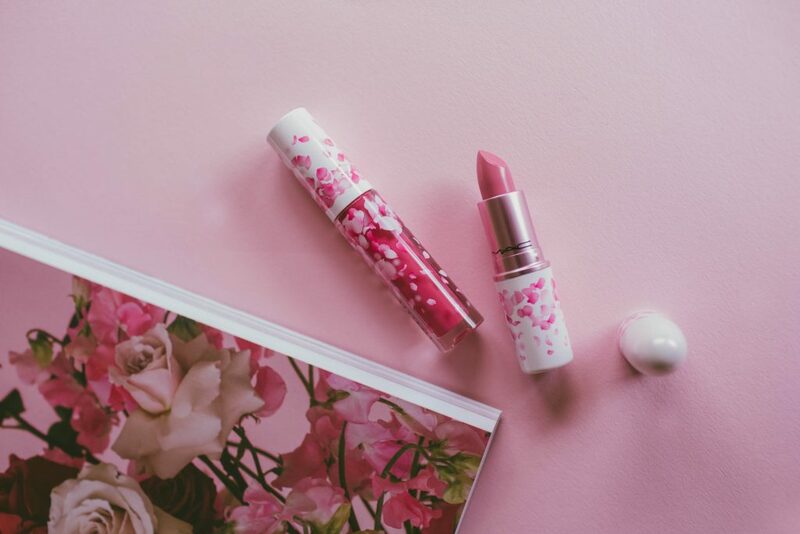 If you wish to amplify the look use high shine ‘Cherry Mochi’ Lip Glass. 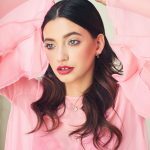 The overall look is natural, glowing with pretty pink cheeks. 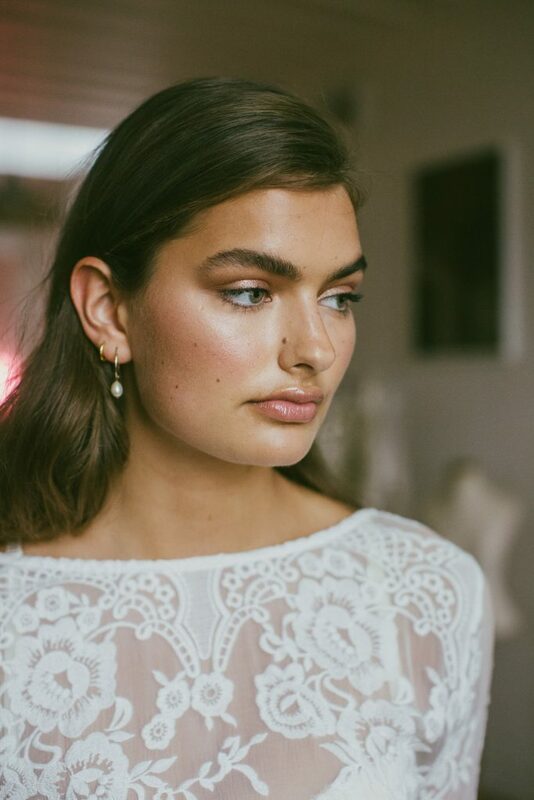 Olivia then applied Bobbi Brown Illuminating Bronzer in Antigua using a bronzing brush on the points where the sun would naturally hit. 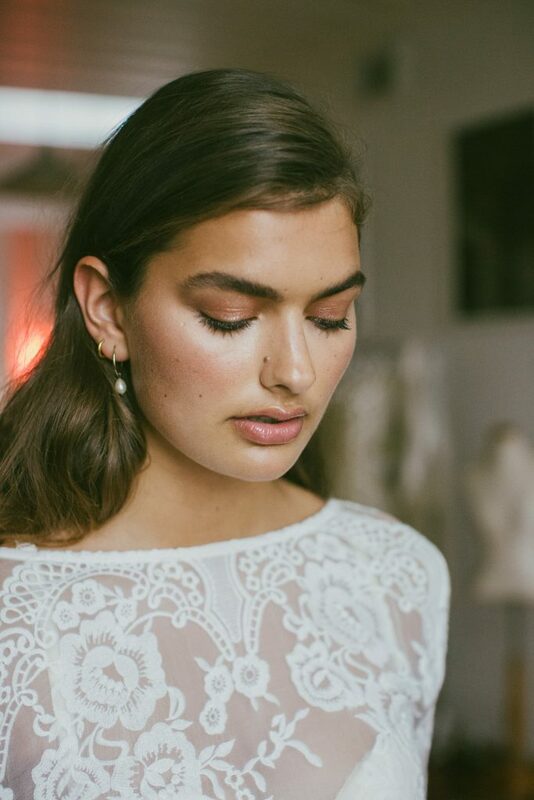 This soft light pink powder bronzer is packed with micro pearls making it really easy to blend. 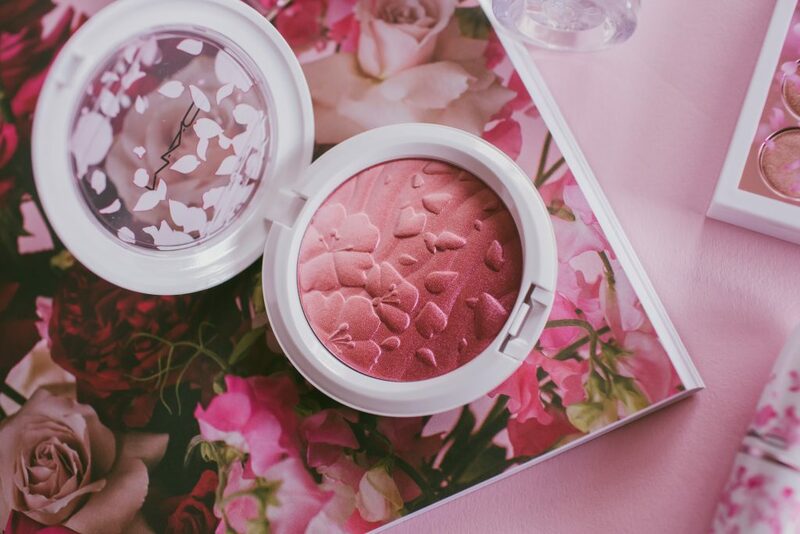 High-Light Powder blended together create a pretty flush to the skin. 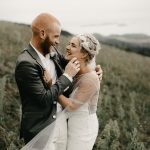 A great Mascara for your wedding day is M.A.C ‘Up For Everything Lash’ mascara, It’s water-proof, smudge resistant and lasts up to 24 hours. This jet black formula has been developed specifically for straight and downward-facing lashes, to lift and hold a lash curl with a light-weight gel formula. 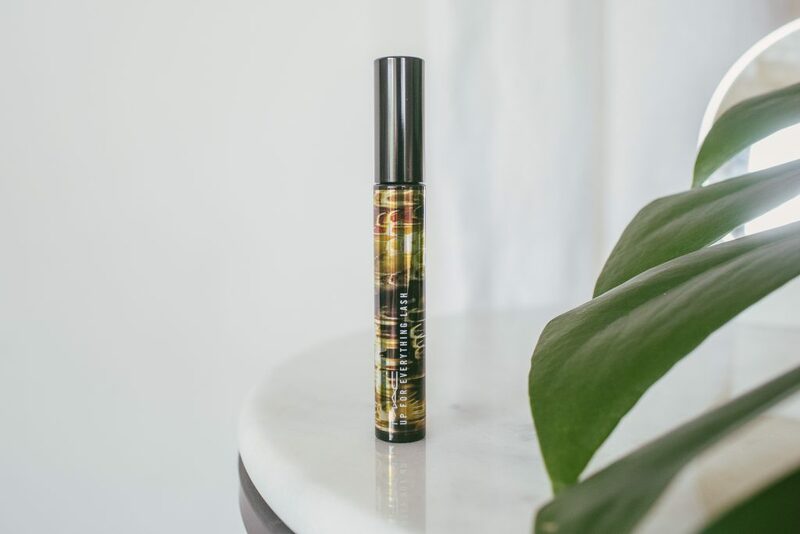 For an added bonus the mascara comes with its own mini ‘Cleanse Off’ oil for easy removal at the end of the night. 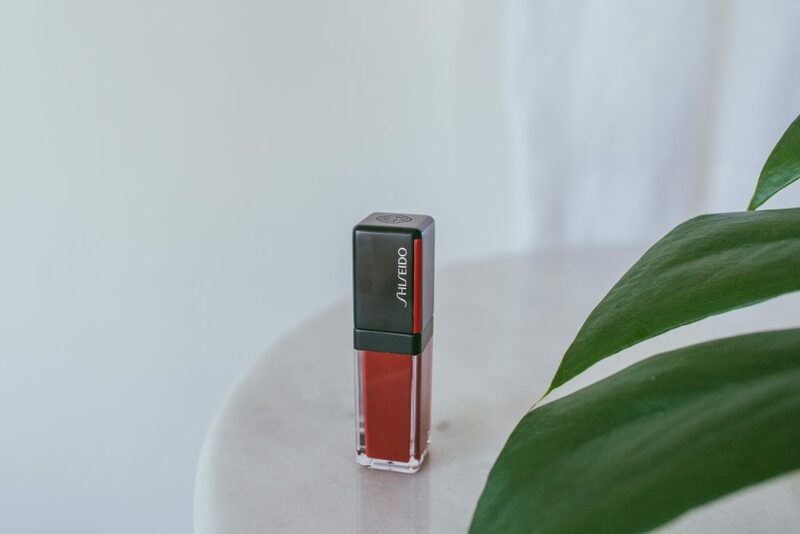 To elevate the look we used Shiseido Lacquer Ink Lip Shine in ‘Scarlet Glare’. 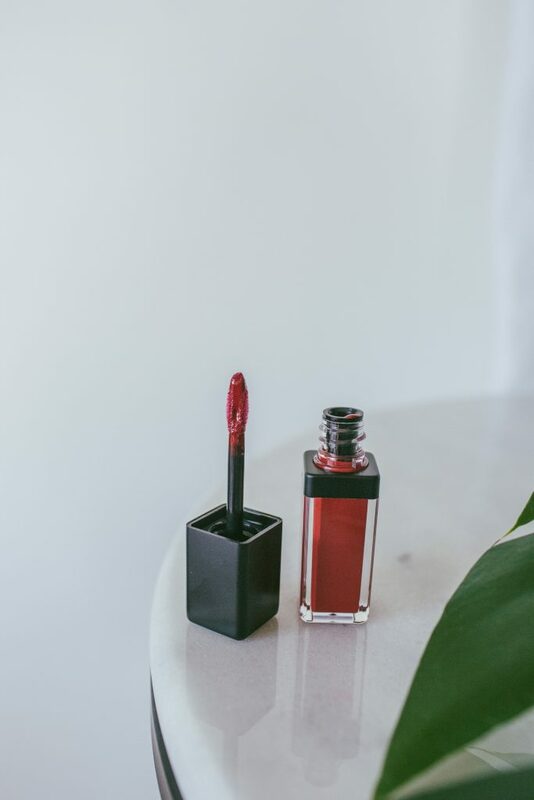 This beautiful red lipstick feels light-weight, with an intense colour pay off complete with glossy finish. 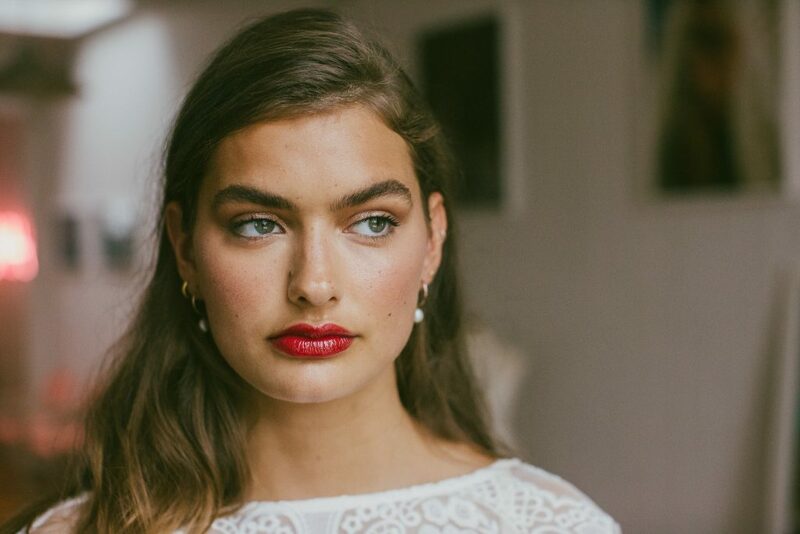 The quickest way to instantly transform your reception look is to switch it up by wearing a red lipstick and we particularly love the shade of thsi one with Varenas olive skin. 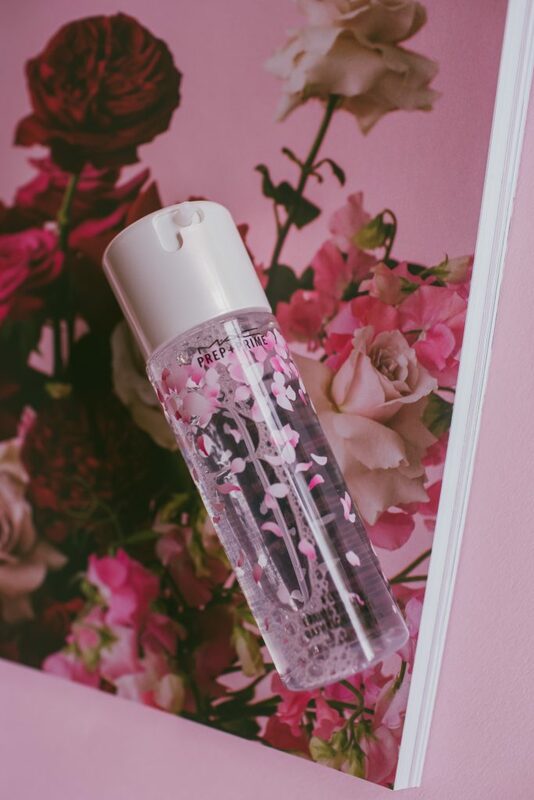 M.A.C Boom Boom Bloom, Prep + Prime Fix+ is a lightweight cherry blossom scented mist that preps your skin creating a dewy look, as well as setting and re-hydrating your makeup. 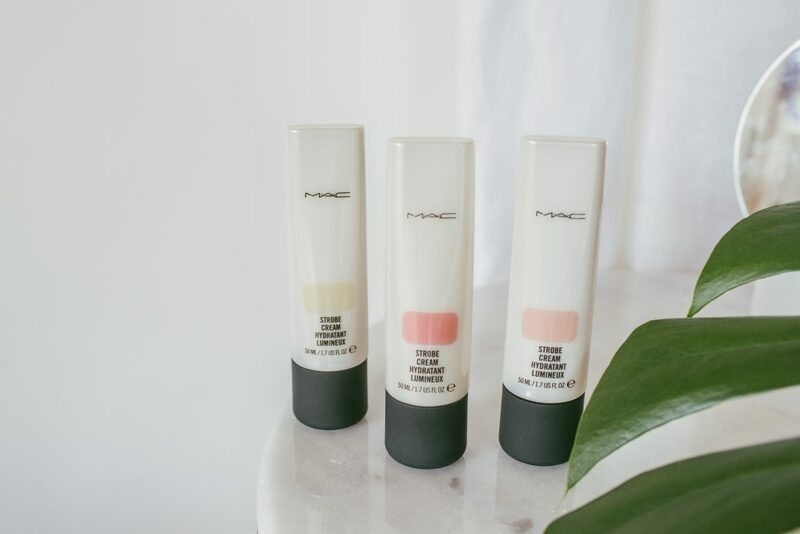 M.A.C Prep + Prime Fix+ is a makeup essential. 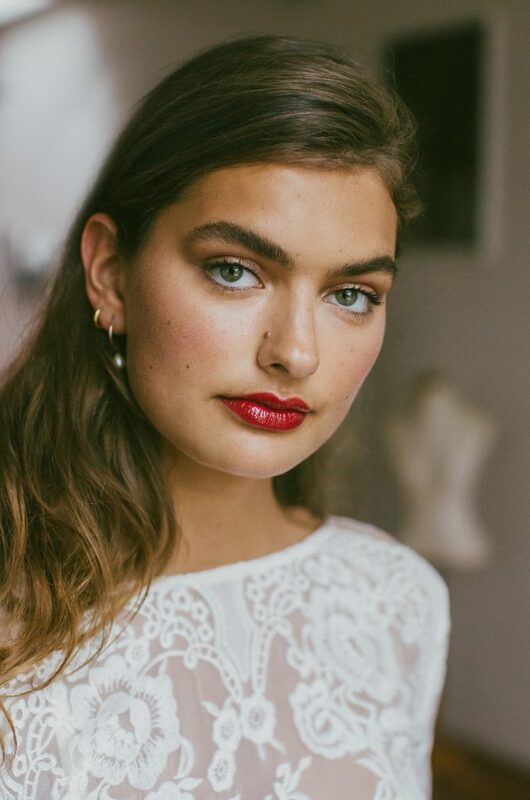 Neutral tones and rosy cheeks, choosing to wear a red lip on your wedding day can play up your look, giving you a new style with minimum effort.